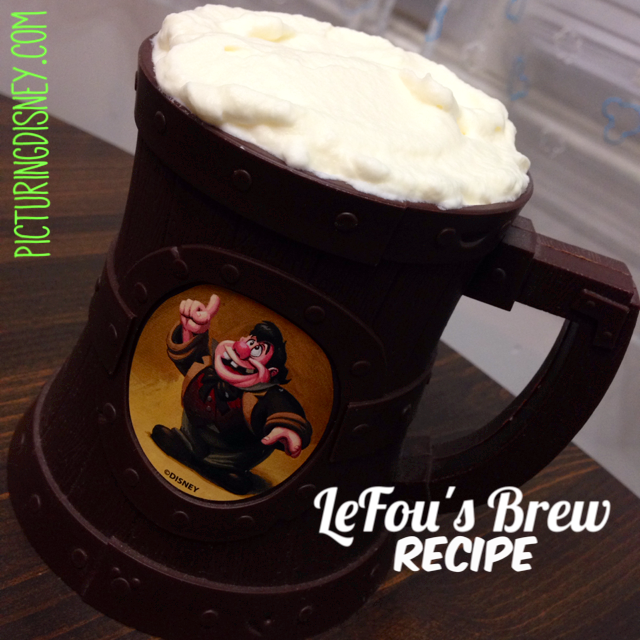 Picturing Disney: LeFou's Brew New Fantasyland Recipe! 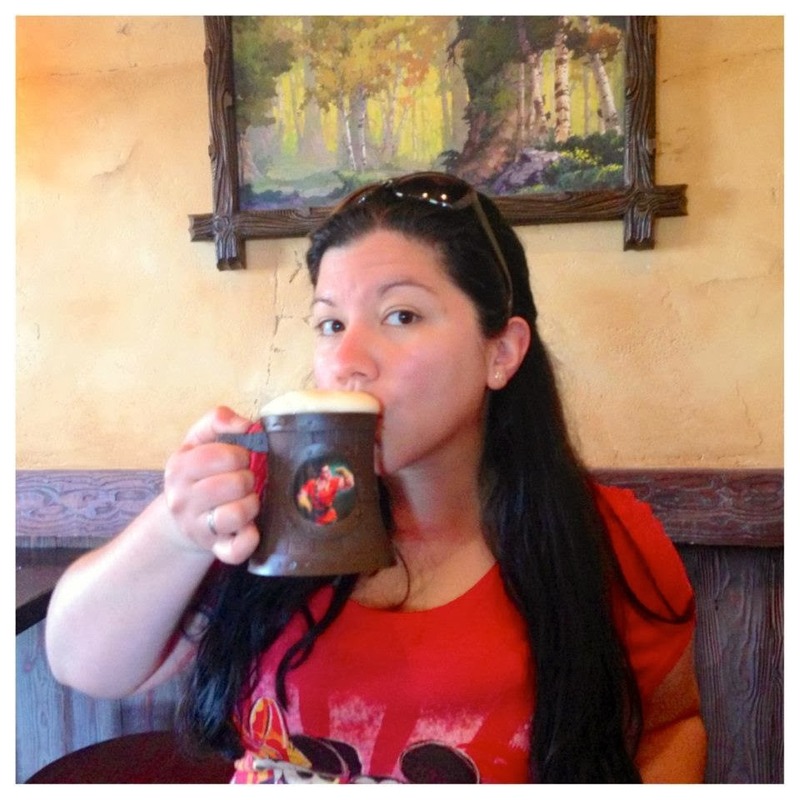 It's impossible to visit Fantasyland without getting a Le Fou's Brew. Now you can make one at home! Naturally I went to see the live action Beauty and the Beast on opening weekend! After seeing the film I was whistling Be Our Guest for days. I started to get homesick for Disney World and decided I needed a little taste of home! 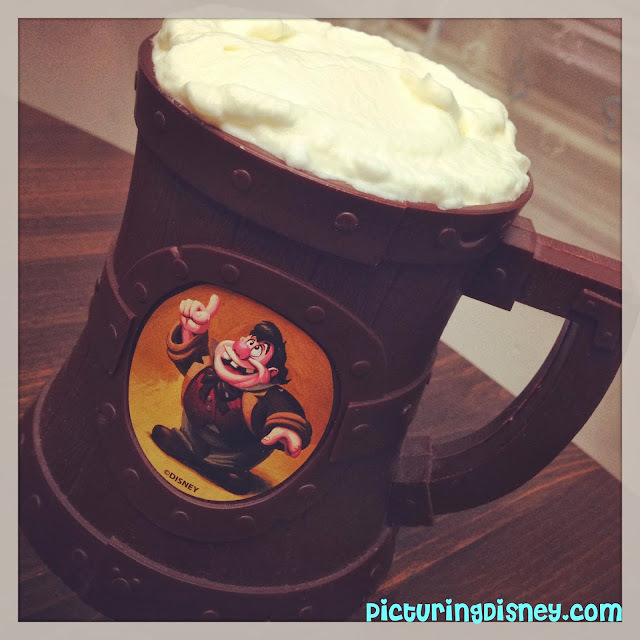 LeFou's Brew was my first thought! After searching numerous sites for recipes that all fell short, I came across Home is Where the Mouse Is and their version of the Brew came from the Disney Diner. 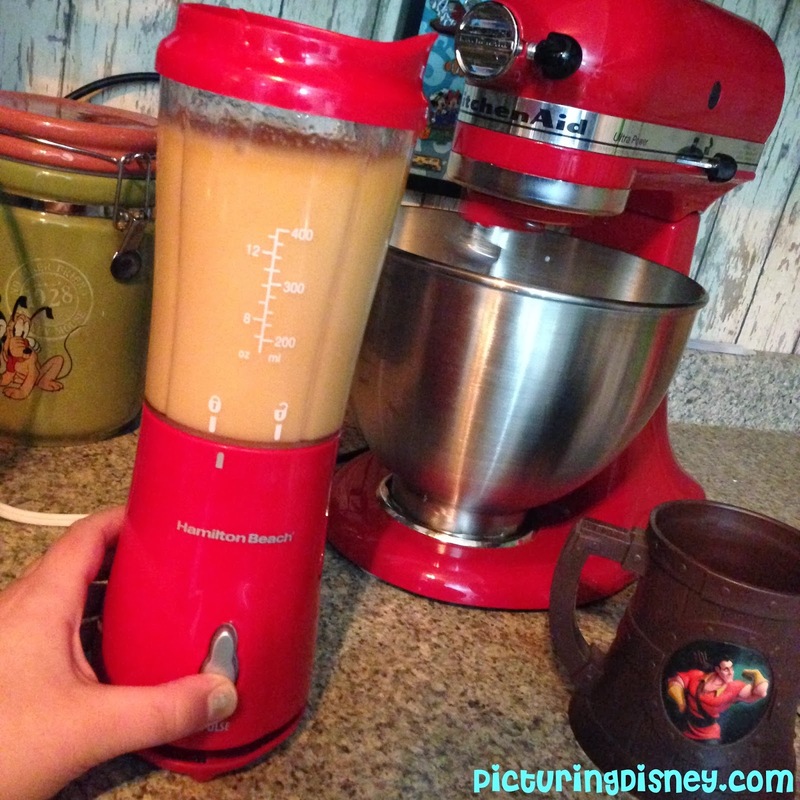 I adjusted the original recipe below but you can find the full recipe on the Disney Diner site as well as tips for finding ingredients. I found all the ingredients at my local grocery store except for the marshmallow syrup. I had to order it online. The link on the original recipe leads to a bottle for under $5 but that would've cost me $15 with standard shipping so I ordered from Amazon for $12 shipped via prime! 2. Slush: Blend ice cubes until they are chopped up. Add both cans of apple juice, water, and syrup. Blend on high until mixed. 3. 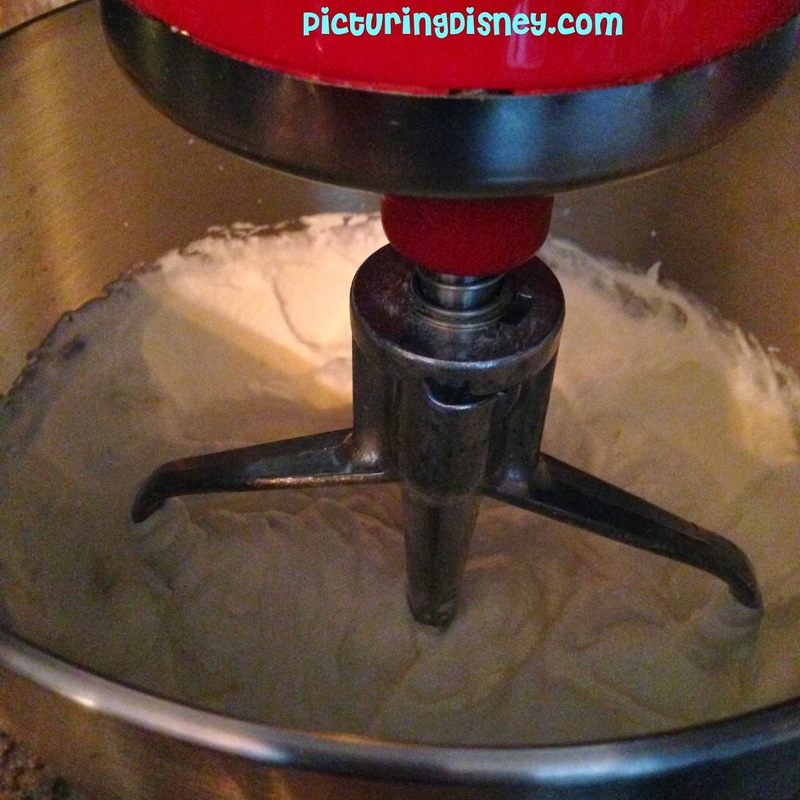 Pour slush into cup and top with whipped topping. The foam is actually a lightly flavored homemade whipped cream but it works here because the Lefou's Brew in the park is foam that mimics the head on a beer. If you want to make this an "adult beverage" you could swap out the Butterscotch Schnapps for the marshmallow syrup and use the foam recipe I used for my Butterbeer here. This is enjoyed best made to order. This recipe yields 4-5 cups of slush with plenty of whipped cream to top off so I recommend halving the recipe. Want more Beauty and the Beast? 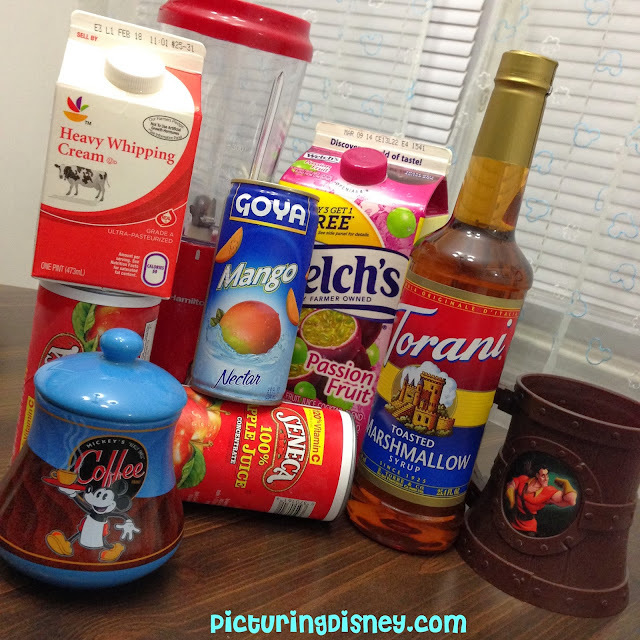 Here are my thoughts on Gaston's Tavern and Be Our Guest restaurants for you to enjoy.